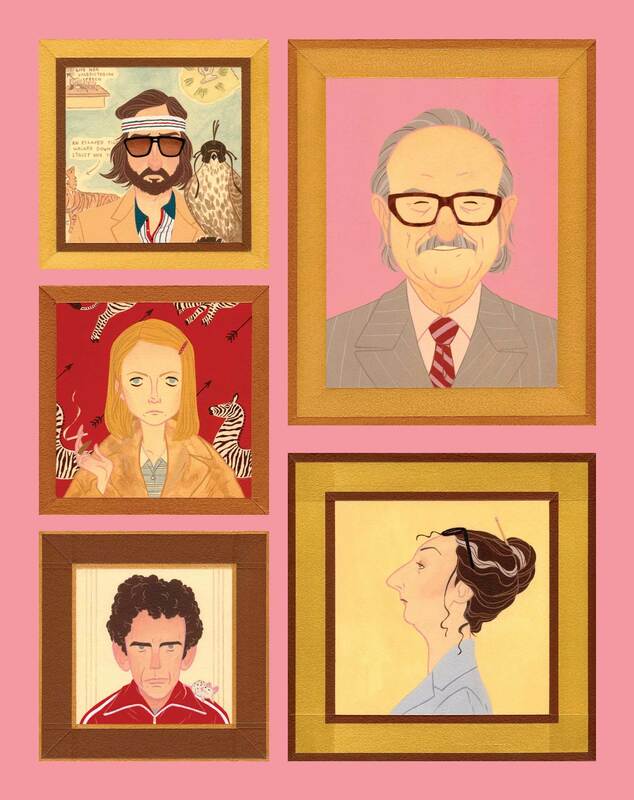 As an exhibition of art inspired by the filmmaker becomes a new book, see the likes of The Darjeeling Limited, The Royal Tenenbaums, Moonrise Kingdom and more through the eyes of their biggest fans. It was Wes Anderson's father - by way of a Google Alert - who notified his son of an art exhibition in San Francisco which paid tribute to films like Rushmore and The Royal Tenenbaums in ways not dissimilar to his movie making style. Though Anderson Snr was not especially impressed by the Bad Dads moniker, inferring some sort of a slight to himself by way of the fictional dysfunctional fathers in his son's work, his son approved of the surreal, eccentric and smart visual art in the Bad Dads show. So he should. 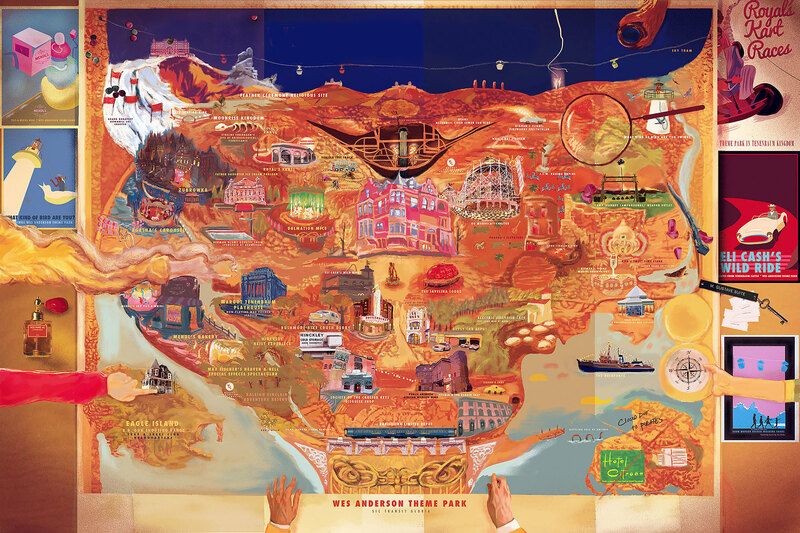 The yearly exhibition, which first opened in San Francisco on Hallowe'en night 2010, indicates both the fan love for Wes Anderson's work and just how rich the worlds he creates are. So rich, in fact, that the 100 or so visual artists from painters, sculptors, designers, illustrators to craft makers involved in the first exhibition, all came up with works as individual as, and as connected to, the films that inspired them. The exhibition was so successful it allowed curator Ken Harman to quit his day job and move from pop up into gallery space proper, Spoke Art in downtown San Fran's Tenderloin district. Since then, word of Bad Dads has spread. Last year it showed in Chelsea, New York where it received such a phenomenal reception that the show was extended from two to five days. Some visitors even dressed as Anderson characters for the occasion. The best of Bad Dads has now been collected in a book that highlights just how densely packed with visual information a Wes Anderson film is. No two works inspired by his films are alike, just all speak of a direct connection to his art. 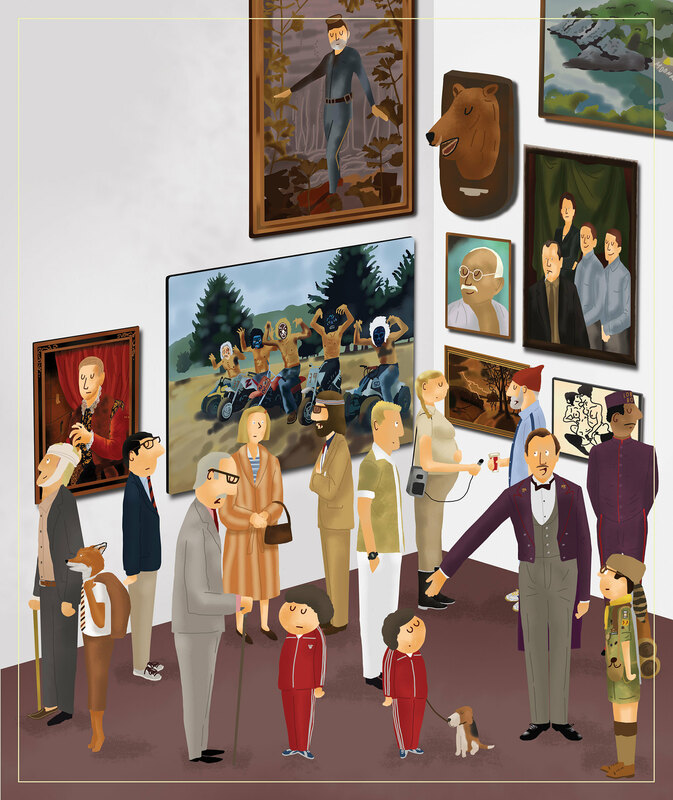 In the preface to The Wes Anderson Collection: Bad Dads, curator Harman explains just why artists are so drawn to Anderson's work. He says: "Visual artists in particular have a wealth of inspiration to pull from: the set designs, costumes, cinematography, colours — tools and tropes akin to the individual globs on a painter's palette, and just as powerful when combined in the right proportions and applied in just the right way." 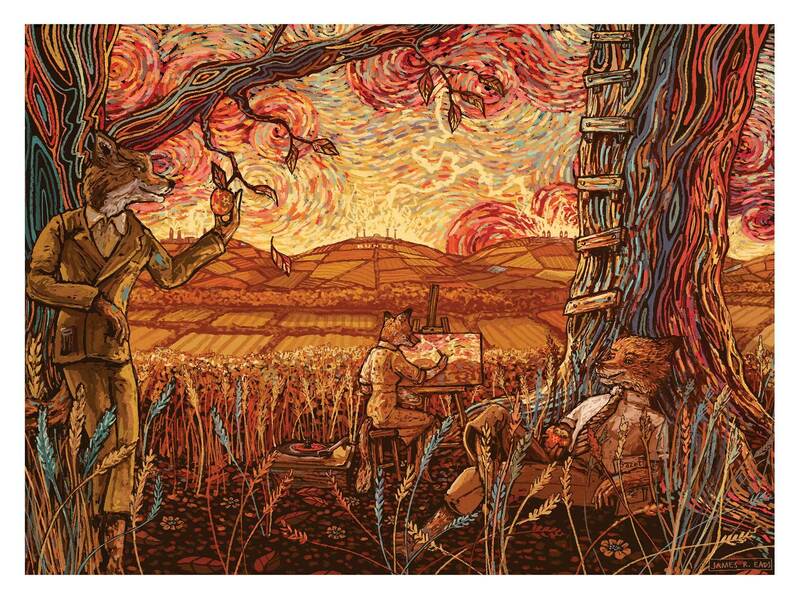 The artists imitate their inspiration in the way that the work is infused with quirks, cleverness, a certain way of looking at the world askew. There are plenty of bad dads - mostly homages to the kind of fathers Bill Murray plays in Wes Anderson films - but the art extends from direct references like a 1:160-scale miniature sculpture of the good ship Belafonte from The Life Aquatic with Steve Zissou, to fine art film posters for The Grand Budapest Hotel and a set of Wes Anderson playing cards for the really obsessed. The work is as playful as it is sometimes to be played with. As New York magazine critic Matt Zoller Seitz says in the book's introduction: "The art in this book expresses that sense, intrinsic to all of Wes's films, of an eternal child hidden inside each grownup, plus a related obsession with nostalgia and returning to a naïve state. It also suggests different ways of looking at Wes's characters: as icons, as symbols, as products, as dream figures, as toys that the imagination can play with or that a cruel universe can collect, sell off, or discard." Even if his dad didn't love the exhibition title, Wes Anderson has given his seal of approval to the work. He's visited the shows and, as he explains in the foreword to the book, has even turned to the artists to create work for use in future projects. He asked the watercolour painter Rich Pellegrino to do a piece for The Grand Budapest Hotel, which is known as Two Lesbians Masturbating. It's the kind of conceit unique to a Wes Anderson film, neatly weaving the world it inspires into its own rich tapestry.